It’s apple season and I’ve reached way, way back into my stash of apple recipes and pulled out my favorite taffy apple dip! 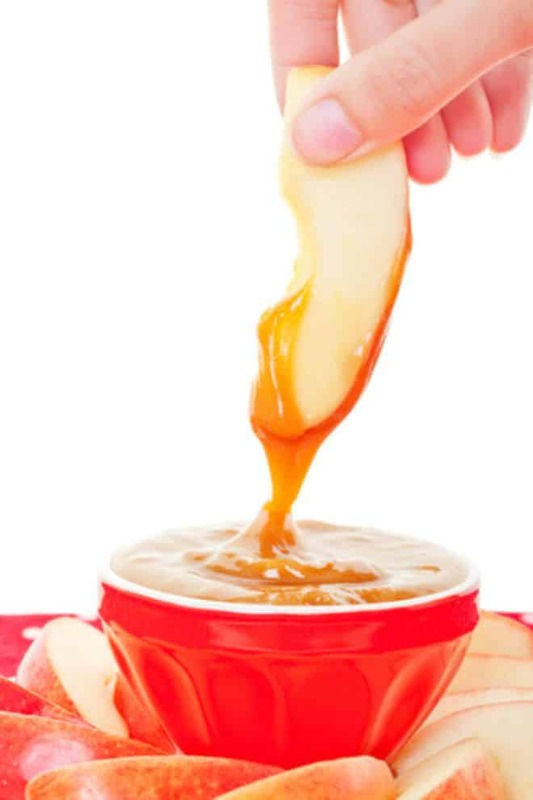 I thought I would share my Taffy Apple Dip today because it’s rainy, a little cool (for the south, that is) and the perfect day for a dip. This is one of those recipes that looks too simple to be good. Au contraire, my friend! I’ve been making it for years and it’s one of my most requested dips. My children and grandchildren beg for it every time we have a party! One of the things I like about this recipe is that it takes only 5 ingredients (including the apples) and I bet you have most of the ingredients on hand. You can whip it up in mere minutes. 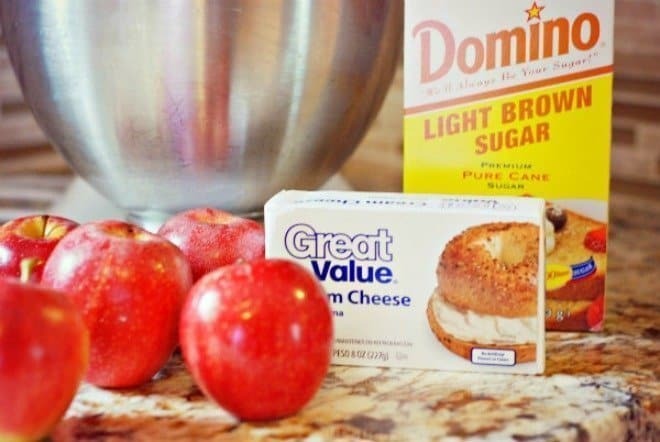 Taffy Apple Dip – Only 5 Ingredients! In a mixing bowl, beat cream cheese, brown sugar and vanilla until smooth. Place mixture in a serving bowl and top with nuts. That's it! Serve with apple wedges. Helpful Hint: Make a few hours ahead of time and store in the fridge. How did you like it? I was out of peanuts when I made the taffy apple dip to share with you. The nuts are totally optional and if someone in your household has a nut allergy, leave them out entirely. It’s all good! As a matter of fact, I rarely add the nuts at all. Be sure and try this recipe. You will not be disappointed. Hey Alli! I am already in love with your blog, but now I get to discover your amazing posts via Throwback Thursday 🙂 Off to pin this recipe and cannot wait to make it for an upcoming “Autumn Apple Harvest” party my family is throwing! You are too kind! I’m in love with yours, as well! I am from Jamaica but I have eaten American apples and love them. This certainly looks very delicious! It is so simple, but so, so good! Allie – This sounds incredibly good! I have a huge sweet tooth and I know that it wouldn’t last long at my house. It’s so easy, it’s almost embarrassing! But it is delicious!